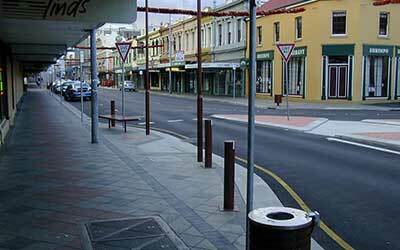 Paving all areas of Launceston and surrounding suburbs! Just Pave is your local paving company with a difference. We have over 18 years of experience in the industry and make sure every job is completed to your satisfaction. Based locally in Launceston, we strive to provide the best products and most professional service to our clients because we know how important recommendations are. Owner-operator Wayne Anderson offers this personal guarantee to every client. 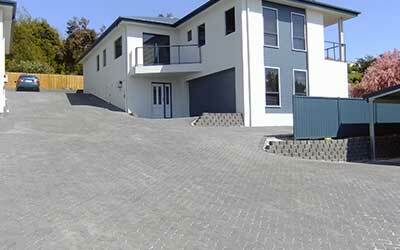 As leading driveway paving contractors, we offer many colours & styles. We are also experienced with patio pavers & pool landscaping. Councils and construction companies have been working with us for years becuase we are a trusted local paving contractor. Industrial paving needs to be extremely hard wearing. 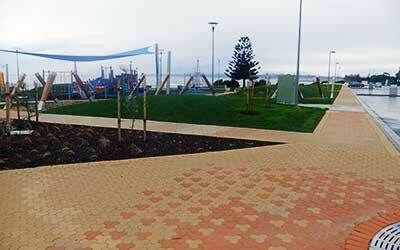 You can trust Just Pave to provide professional results and reliable service. Our paving services are available in all suburbs of Launceston including Prospect, Riverside, Trevallyn, Ravenswood, Newnham, Newstead, Kings Meadows, Norwood and Youngtown. Mobile showroom You don’t need to leave home to choose the best quality paving. We have a well-stocked mobile showroom and will bring a wide range of pavers right to your door for you to choose from. Experience and Reliability With 18 years of experience we can work with all kinds of pavers and block sizes. We can also cope with any inclines and soil types. Iron Clad Guarantee Naturally, we guarantee all our work, not just parts of it. We also promise to return to site after a year to ensure that everything is still good. Best Quality Just Pave is regularly awarded contracts by councils and construction firms because of the quality of our work. Fully In-house Service We do all our work in-house, saving you the hassle of dealing with multiple contractors. We do pool landscaping, driveways, patios, retaining walls, lawn edging and we even lay artificial grass. Quick and Hassle-free We work quickly minimising the dirt, mud and other inconveniences that come with living on a job site. Clean and Thorough We always do a thorough clean up when the job is finished, leaving your home or business spotless. You will see from our testimonials how many endorsements we have for all aspects of our work.